Share the post "5 best examples of emotion analytics in the real world"
In any business, it is important to know how customers truly feel about your services and products, because that is what really makes the difference. Sales figures, surveys, social media posts, ratings may help you get a general idea about customer views but it does not provide the finer, granular insights regarding what goes unsaid. This is where emotion analysis comes in handy. Here the facial expressions and voice modulation are analyzed to interpret the emotional state of an individual or group. This technology goes a step beyond facial recognition and sentiment analysis to provide deeper insights about what customers are truly feeling at a given point of time. The emotion detection and recognition market size is estimated to grow from USD 6.72 Billion in 2016 to USD 36.07 Billion by 2021, at a Compound Annual Growth Rate (CAGR) of 39.9%. The consumer goods company, Unilever is analyzing the emotional expressions of prospective candidates for its entry-level jobs. After applying for the job, applicants undergo a video interview with a standard set of questions through their computer, tablet and, smartphones. As a candidate is answering the questions, an AI algorithm constantly measures the facial expressions, emotions and other personality traits. The detailed report regarding the candidate’s emotional reaction to each question is then forwarded to the recruiter. Based on the emotional analysis, AI also helps in shortlisting the pool of candidates that it feels is best suited for this job. The emotion recognition technology helps Unilever to save a significant amount of time that they would otherwise spend in screening candidates. Moreover, it has also helped the company to increase its ethnic diversity with a considerable increase in non-white hires. Unlike human recruiters that are subjected to unconscious bias, the algorithm decides purely based on the captured emotions. So by implementing emotional analytics in their recruitment process, the company has been able to enjoy both social as well as economic gains. The giant entertainment company, Disney, uses emotion analysis to capture the real response of audiences for their movies. The practice involves capturing the viewers’ facial expressions during the course of the movie using infrared cameras placed at various angles in the theater. This provides the company with numerous data points that are then fed to an artificial intelligence algorithm. After training, the model is capable of recognizing complex facial expressions. 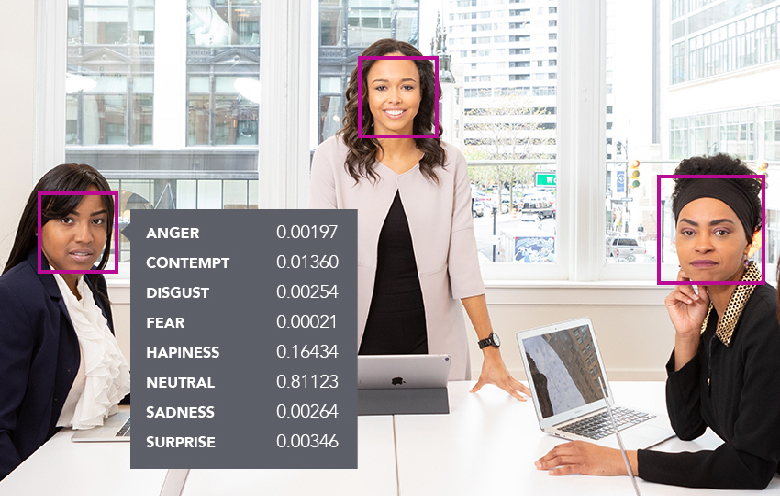 The emotion recognition algorithm can also predict upcoming emotions like at which point in the movie audience will laugh, on which scene they would be sad and so on. This advanced technology helps Disney to find out whether the audience is enjoying the movie or not. Compared to the data collected using reviews and surveys, the emotion analytics services provide more reliable and real-time data. This helps the company to derive insights regarding the various factors that provoke any emotion that can be used further to establish a better emotional connection with audiences in their upcoming movies. Kellogg’s, the multinational food manufacturing company, is using emotion recognition technology for its branding and advertisement. Multiple versions of an advertisement are shown several times to the viewers and their emotions are captured using facial recognition software. When analyzed, the model highlights versions that displayed high engagement rates during the first watch with the rate decreasing with every next watch, the ones that displayed a stable engagement rate across multiple views and more. The company, based on the insights, then finalizes the advertisement that produces the desired engagement levels. The technology helps Kellogg’s to understand how emotions form the basis of purchasing decisions so that they can create and distribute more emotionally targeted videos. The data provided by the software assists the company’s selection of the right advertisement that can engage consumers and persuade them to buy the product. Moreover, it also provides an opportunity for the ad team to make the necessary changes in order to improve the performance of the advertisement before it is out in the market. The health insurance company, Humana, has collaborated with Cogito Corporation, an emotional intelligence solution expert to help their call-center agents to deliver a better emotional experience to customers. They carry out voice emotion analytics in real-time to understand what the customer is feeling at any point during the call. Here the focus is more on how the customer says something rather than what he or she is saying. This analysis is shared with the agent in real-time to find out when the customer is frustrated, sad or happy. 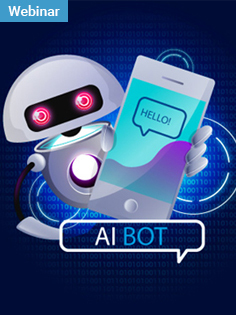 It also provides the agent with useful suggestions like to change their speaking tone, alter the speed of speaking, and display empathy if needed, in order to turn the call positive and provide a better customer experience. Emotion analytics services provided by Cogito are helping agents at Humana to resolve the customer queries on the first call. This has led to a drastic improvement in the company’s first-call resolution as well as the Net Promoter Score (NPS). Moreover, the service is helping agents by making their jobs easier and providing them with insights which they would have otherwise missed. The creators of the thriller adventure game, Nevermind, are using emotion recognition technology in order to deliver a better gaming experience. As individuals play the game, their facial expressions are captured through a webcam. The data collected is then fed to an emotion recognition app which infers emotions like fear and anxiety in real-time. The gameplay is then altered based on the emotional state of the player, thereby proving a personalized experience. The emotions analysis helps Nevermind in finding accurate insights regarding the frustration levels of the players, the difficulty level of the game, and factors on why they leave the game. The information is then used to provide players with better dynamic changes in order to deliver a smoother experience, increase in gaming time and higher player retention. Companies across the world are harnessing the power of emotional intelligence to improve their business processes. What we have seen here is just a snippet of the true potential of emotion analytics. Whenever you are ready to start playing with emotional intelligence or just want to know about some more areas of its application, just contact us. We will be thrilled to walk you through it.